This Christmas stationery design features a colorful red and black houndstooth border. The woven background is accented by a red, green, and white bow, as well as many festive holiday ornaments. 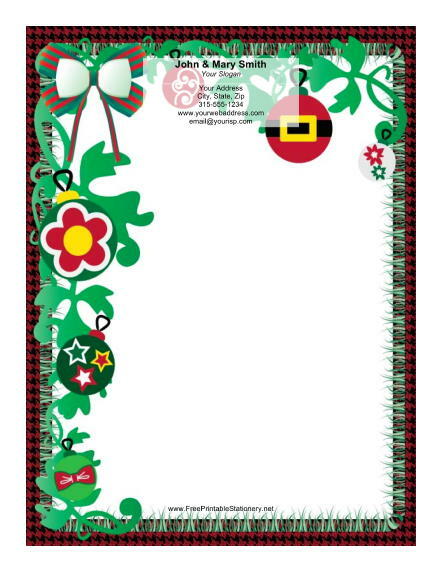 This Christmas paper is exactly what you need for sending out all your yearly greetings.